The years from 2013 through 2015 witnessed the largest non-commercial marine mass mortality event on record (as of 2013) as up to 96% of all Ochre Sea Stars on the coasts of California and Oregon perished. This created a ‘natural experiment’ and an opportunity to study genomic changes in wild populations with unprecedented detail. 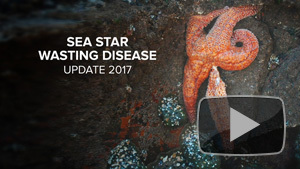 Rather than observing only the aftermath — usually the case in such catastrophes – a team of researchers from UC Merced is reconstructing the population and genetic consequences of this epidemic outbreak of sea star wasting disease. The team measured the abundance and genetic variation of Pisaster ochraceus (the Ochre Sea Star – a keystone species) in the year preceding mass mortality. They then repeated sampling of adults and juveniles in subsequent years, measuring population dynamics and genomic shifts during and after the disease outbreak. At a time when marine diseases and mass mortalities are on the rise, this study documents the impact of little-known wildlife diseases and potential trajectory of recovery in a keystone marine species. The Water Wars are coming – and according to Executive Producer Lynne Kirby, they’re already here. Concerned about what her daughter would drink in the years ahead, Kirby became passionate about water conservation issues. 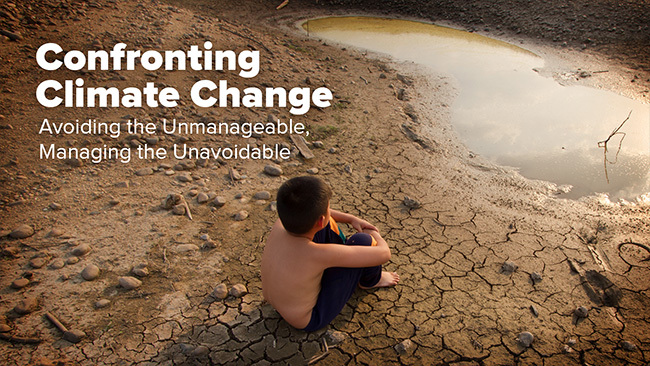 She knew water was going to be a big issue in the decades to come – that water would be the “oil” of the 21st century. She pitched the idea of making a documentary of the coming water wars to Alex Gibney, an investigative documentary filmmaker of films about Scientology, WikiLeaks, Enron and others. According to Kirby, Gibney’s the kind of guy who says, I’m coming after you… and you’re going down… and we’re going to peel back the onion and expose you. Gibney then approached National Geographic who had been looking for a water project and the rest is history. Water & Power: A California Heist unfolds like a real-life version of the 1974 film noir Chinatown and uncovers the ruthless exploits of California’s notorious water barons, who profit off the state’s resources while everyday citizens endure a debilitating water crisis. 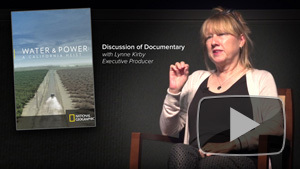 Watch Water & Power: Discussion of Documentary with host and UCSB Professor of Film & Media Studies, Constance Penley, and Executive Producer Lynne Kirby to hear more behind-the-scenes stories about this incredible documentary. 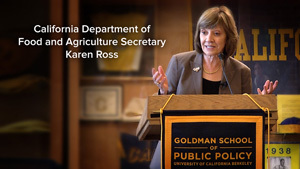 Rosina Bierbaum, formerly of President Obama’s Council of Advisors on Science and Technology (PCAST) and an Adaptation Fellow at the World Bank, shows how climate change will affect all regions and sectors of the economy, and disproportionately affect the poorest people on the planet. 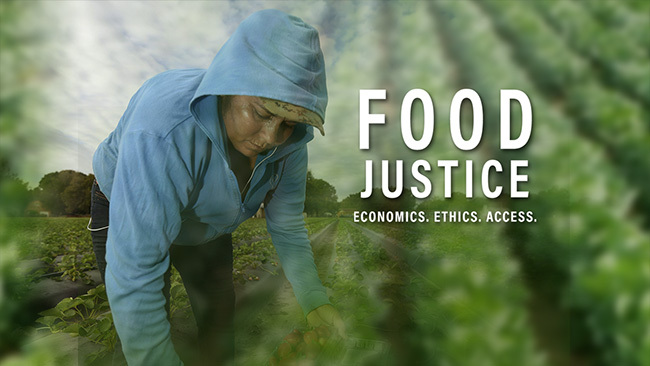 Therefore, improving the resilience, adaptation, and preparedness of communities must be a high priority, equal to that of achieving deep greenhouse gas reductions and rapid development and deployment of innovative technologies, as well as altered planning and management strategies in the coming decades to achieve a sustainable world. To see more programs from this series, click here.